Morphy Richards 1.6L 5 Function Stainless Steel Sauté and Soup Maker - The Sauté and Soup Maker is the fuss-free way to make delicious soup. Sauté in the jug and then simply add your ingredients and stock. Choose from the smooth or chunky setting and in 21 minutes you can be sitting down with a bowl of soup. Pause function - The option to add seasoning during the cooking cycle by removing the lid, when the lid is reapplied the cooking cycle will continue where it left off. 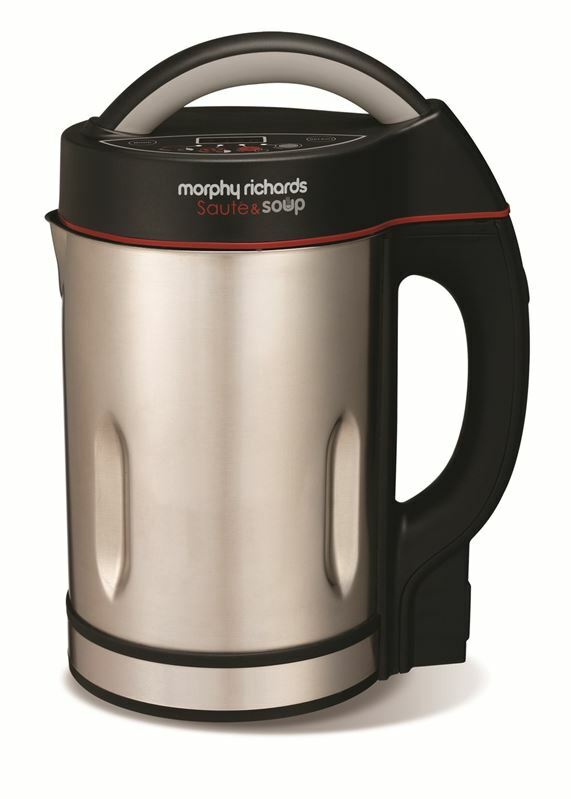 4 different settings - Smooth soup in 21 minutes, chunky soup in 28 minutes, juice in 2 minutes and a blend function to ensure texture is to personal taste.